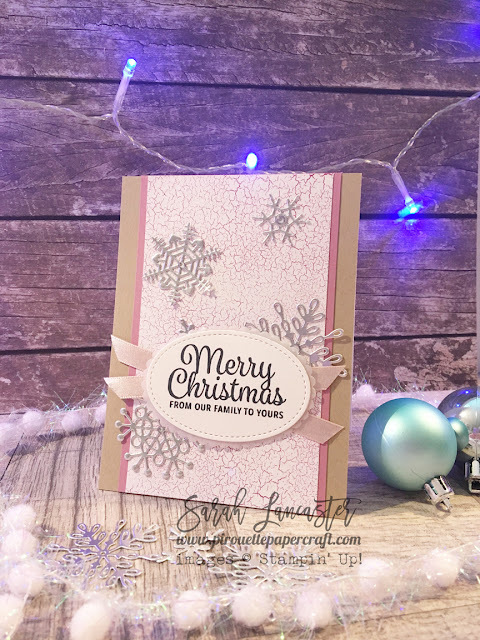 Non-traditional colours for Christmas definitely make it more interesting! But of course I have to use pink and silver. This card even has a little bit of glitter on the ribbon too. 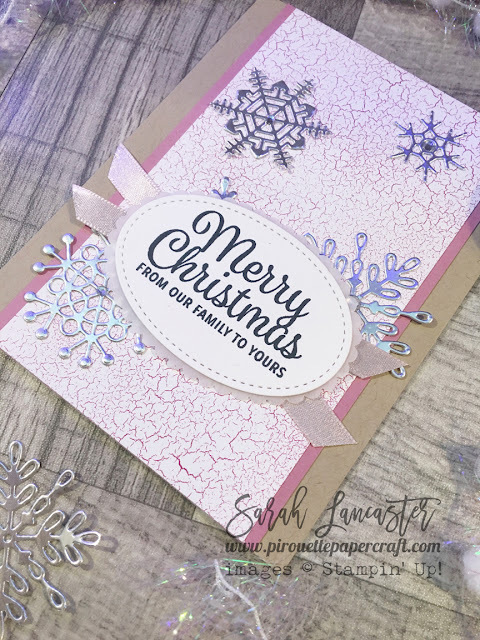 I'm totally in love with the die cut snowflakes too, I used the silver foil card stock and also for the mat oval behind my sentiment. 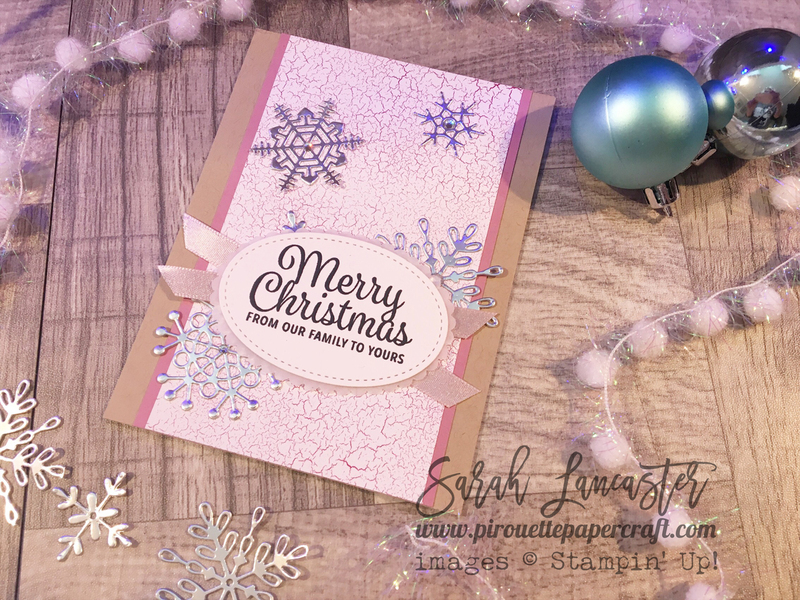 So Christmas can be soft, pastel colours too. 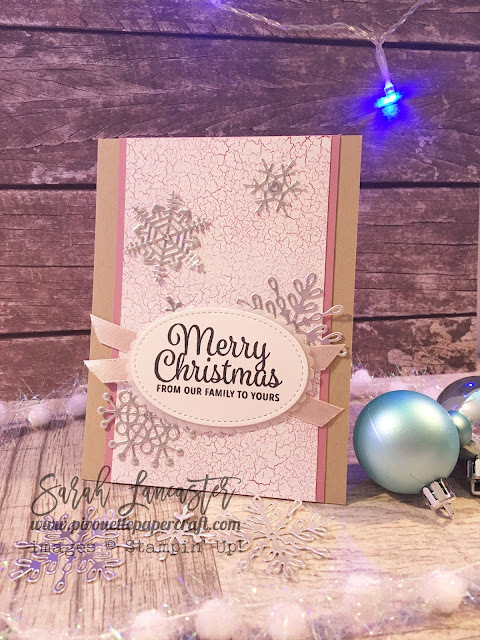 The beautiful DSP looks right at home as well, you don't need to purchase speciality Christmas paper - look in your stash and see if you can work with something.